It is to the firm faith and foresight of 32 early settlers living in this little fron­tier town of Galesville to which we attribute our existence as a church in 2008. The town had been founded only five years when a committee of the Presbytery of Winnebago visited Galesville. The committee was led by the Rev. David C. Lyon who was in charge of the spread of Presbyterianism west of the Mississippi River. Rev. Lyon commissioned the Rev. Sheldon Jackson to the vicinity of LaCrescent, which "vicinity" at that time included Galesville. Riding into Galesville every two weeks on horseback, Rev. Jackson organized the thirty two persons, who adopted the Confession of Faith and the form of government of the Presbyterian Church and were constituted by the Presbytery of Winnebago on September 17, 1859 to be a church of Jesus Christ under the name of The First Presbyterian Church of Galesville, Wisconsin. The majority of these 32 original members were Scottish by descent, so Presbyterianism came easily to them. Rev. Jackson soon became overburdened with work of pasturing several congregations, so he asked his friend, the Rev. John Frothingham of New York, to be the first resident minister of the Galesville Church. Rev. Frothingham preached in three places: Galesville, Glasgow, and Frenchville. He was paid $450.00 per year, $200.00 of which was pro­vided by the National Board of Missions, and was later repaid. A gift was given during this time which came from the Youth Missionary Society, New York; this gift, a Communion Service, is still in use today. The pitcher and the chalice are a fine link to our past. Rev. Frothingham answered a call to Cedar Rapids, Iowa, in 1868. A series of ministers followed. At that time, Gale College was governed by the Presbyterian Church. The times following Rev. Frothingham were good years for the church. In 1877, the church became the custodians of Galesville University and the minister assumed duties there in addition to ministerial duties with the congregation. It became apparent in the in the late 1800’s that a new building was needed. The cornerstone for the new building, to replace the earlier structure build during the Frothingham years, was laid on October 18, 1895. The structure was built according to plans drawn up by William Parker, whose granddaughter, Julia Parker Vazquez, just recently passed away at the age of 89. Throughout the years the congregation has been blessed with a total of 27 pastors, far to many to mention by name, yet all contributing to church development in one area or another; evangelical, financial, or organizational. Typical of these pastors was Rev. C.H. Phipps (June 1918-October 1924), a native of Tennessee, who brought a more considerate outlook on the Southern people than his predecessors. He was pastor here during the later part of the First World War, and did much to support the purchase of Liberty Bonds and War Savings Stamps. There was also Rev. J.J. Pauly (March 1925-September 1929), who during his four years assisted the congregation in adding 100 names to the roles. During this time, much remodeling to the church was also done. In April of 2003 the congregation and community were shocked to receive word from California that their beloved pastor of 32 years, the Rev. Dr. Stephen Krueger, had died suddenly and unexpectedly. Pastor Steve had been spending time with a former colleague from the Galesville area in route to a wedding he was to officiate for a family member. The following months were very difficult for the congregation. Yet with the able leadership coming from the Presbytery of the John Knox through the person of Rev. Ken Meunier, Bridge pastor Rev. Ron Gustafson, and Interim pastor Rev. Linda Martin, the congregation has taken tremendous strides as the members grieved and began the process of recovery. On November 1, 2005, Rev. Michael Hibbs began his ministry with the congregation. Rev. Hibbs comes to the congregation from serving 18 years in the community of Windom, Minnesota at the First Presbyterian Church. 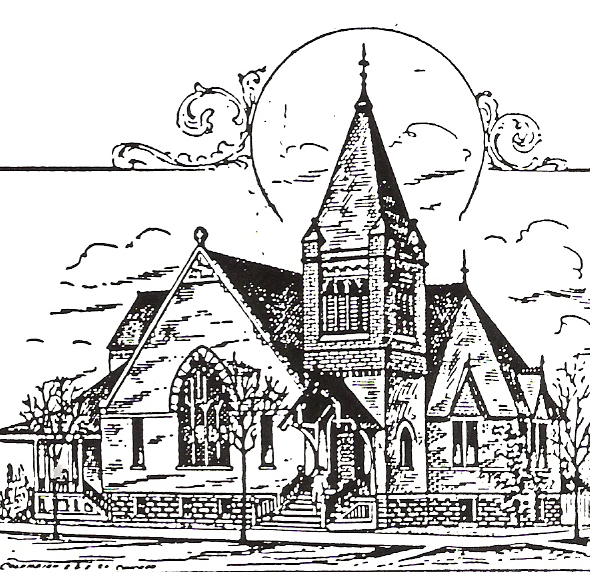 The First Presbyterian Church of Galesville celebrated its 150th Anniversary beginning September of 2008. The celebration was a year long event concluding September, 2009. The congregation looked back to the past with a great sense of accomplishment and pride but also looks to the future with courage and conviction knowing that it is the future where God is calling them as this congregation continues in its service to Jesus Christ and the world.